Today we took Ethan to Whittamore's Farm in Markham as they have set up their fun farm area as Pumpkinland for the autumn season. 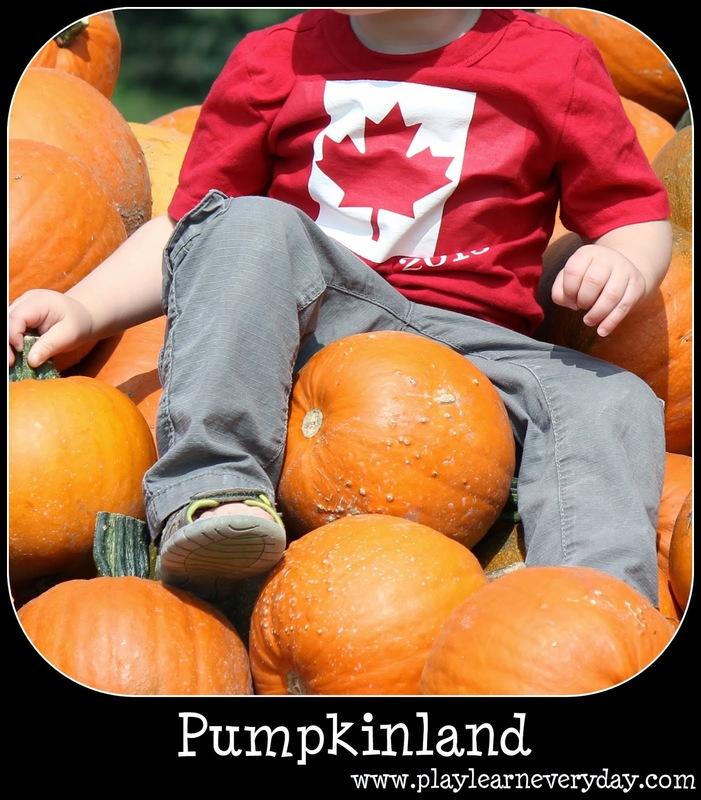 This was very exciting for me as we've been taking Ethan to pick his own pumpkin here in England for the past two years, but it's not quite the same as the whole pumpkin experience in Canada! Whittamore's have a fantastic set up with loads of different activities, Ethan ran around exploring everywhere. It was great for his Knowledge and Understanding of the World as he got to see a lot of different farm equipment and animals. Ethan rode on toy tractors, sat on a real tractor, played in the sand, went through the pumpkin maze, met the farm animals, climbed on tractor tires and hay bales, and went on a wagon ride through the spooky forest. He loved it all, running around from one area to the next with glee. I only wish that he hadn't been so tired (we interrupted nap time) so that we could have stayed longer and got more pumpkin photos! I highly recommend a trip there to anyone in the area.